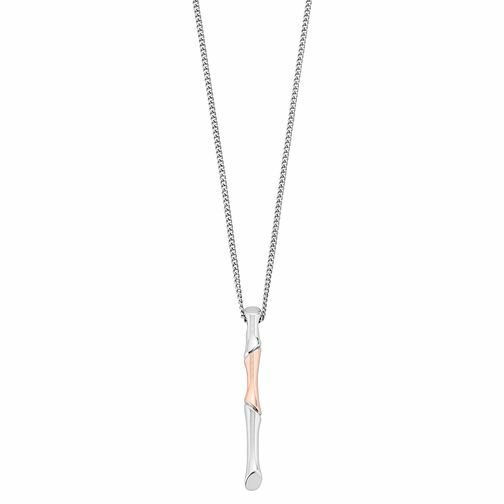 An intricately crafted sterling silver and 9ct rose gold bamboo pendant, to add effortless sophistication to every outfit. All Clogau Welsh jewellery contains a touch of gold mined from the Clogau St David's gold mine - the very same gold used in generations of royal jewellery. Clogau Silver 9ct Rose Gold Bamboo Pendant is rated 5.0 out of 5 by 1.